Three different version of SNMP exist: SNMPv1 (RFC’s 1155, 1157, and 1212), SNMPv2c (RFC’s 1901 through 1908), and SNMPv3 (RFC’s 3411 though 3418). The co-existence of all three versions are detailed in RFC 3584. SNMPv1 is the original standard for community based management. SNMPv2 was derived from the SNMPv1 framework but had no message definition, which was later revamped aa SNMPv2c, a community based version of SNMPv2 with a message format similar to SNMPv1. SNMPv2 added several new datatypes (Counter32, Counter64, Gauge32, UInteger32, NsapAdress, and BIT STRING), as well as enhancements to OID tables and the setting of OID values. SNMPv3 is an extensable SNMPv2 framework with a new message format, ACL and security abilities, and remote configuration of SNMP parameters. SNMP is based on several other standards including the Abstract Syntax Notation 1 Basic Encoding Rules (ASN.1 BER) which defines the SNMP used Datatypes and the Structure of Management Information (SMI) which details the grammar used by SNMP MIBs. SMI comes in two varieties: SMIv1 (RFC 1155) and SMIv2 (RFC 2578). SMIv1 is now obsolete and should not be used. If you choose to modify MIBs at some point you’ll need to learn SMIv2 and ASN.1 syntax, but otherwise they are interesting but unnecessary to learn. To this day, SNMPv1 and SNMPv2c are the most commonly used, however due to the insecurity inherent to these protocols read-only access is typical. In general, don’t bother with SNMPv3 unless you really need the added security features. There are several subject we will not be discussing in this paper. These topics include writing agents or sub-agents, writing MIB modules, trap generation and trap sending, synchronous vs asynchronous SNMP coding, and MIB parsing. Something that scares new or inexperienced coders away from the Net-SNMP documentation is the seemingly constant reference to synchronous and asynchronous applications. Don’t be afraid, thats referring to applications that can’t afford to sit and wait for a response. If your application needs a non-blocking method of handling SNMP traffic, use the asynchronous interface (eg: GUIs, Threads, Forking, etc). Otherwise, just stick with the synchronous interfaces for typical use. Lastly, this document addresses the use of Net-SNMP on UNIX systems only. Please refer to the Net-SNMP website for information regarding development on Win32. SNMP OIDs are laid out in a hierarchy forming unique addresses into a tree similar to the DNS hierarchy. Like many other forms of addressing, OIDs can be used in 2 forms: fully qualified and relative (sometimes called ”relevant”). All fully qualified OIDs will begin with .iso.org.dod.internet.private represented numerically as .1.3.6.1.4. Almost all OIDs will then be followed by enterprises (.1) and a unique number for the vendor as assigned by the Internet Assigned Numbers Authority (IANA). In the example OID 789 represents the vendor ID for the Network Appliance Corporation (NetApp). Everything beyond the vendor ID is based on the vendors implementation and may vary between implementations. Please note the prefixing dot before iso. Similar to the trailing dot in DNS, properly qualified IODs begin with a dot representing the root. The relative form. of an OID, on the other hand, begins from the enterprises value and leaves all the implied addressing off. So we can use the relative form. of the above OID as enterprises.netapp.netapp1.raid.diskSummary.diskSpareCount.0 or numerically as .1.789.1.6.4.8.0 . 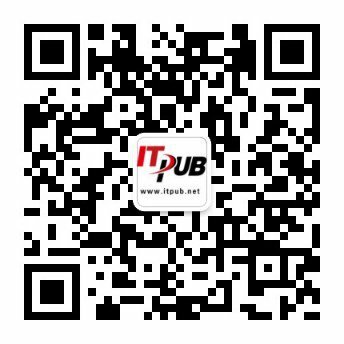 OID的先对格式，从企业值开始，略过所有的隐含地址。因此，我们可以用 enterprises.netapp.netappl.raid.diskSUmmary.diskSpaceCount.0 来表示上述的OID，或者用数字格式 .1.789.6.4.8.0 . A common form. of writing OIDs is by the name of the MIB and a unique key defined within the MIB. For instance, we could rewrite the above OID into the condensed form. NETWORK-APPLIANCE-MIB::diskSpareCount.0 . This condensed form. follows the convention of MIB Name::Unique Key.instance. Some keys, while unique, can be represented by multiple instances of that key, and thus all OIDs end with an instance value. This is why you’ll notice that most OIDs end with a .0 . The structure of a MIBs internals are a little strange and foreign at first, but it’s structured well enough that you can poke through it pretty intelligently without really knowing what your doing. The structure of a MIB comes from the Structure of Management Information (SMI) standard detailed in IETF RFC 1155 and 2578. If you choose to modify or write your own MIBs you’ll benefit from understanding SMI before hacking much on MIBs. Comments can be inserted into a MIB by prepending them with two dashes. In the header the declaration BEGIN starts off the MIB. Imports can be used to pull information from other MIBs, typically those mandated by the MIB-II standard. The MIB lays out the structure of OID addresses starting from the enterprises value. Here the enterprise value 318 maps to ”apc” (relative address .1.318). Typically then several categories are defined. Here we see 2 categories: products (.1.318.1) and apcmgmt (.1.318.2). Notice that in the curly braces two values are specified, its parent address followed by its address. So the products identifier is parented by the apc identifier which is parented by the enterprises identifier, so on and so forth. This type of categorization and subcategorizing will typically continue on in the header of the MIB for awhile segmenting the available keys into tight subgroupings. By segmenting values out in this way it makes the available keys easier to navigate. Here is defined the upsBasicOutputStatus key with a return type of INTEGER. The returned integer maps to one of 12 different return values as listed. Notice that in the MIB a description of the key is provided. These descriptions can be extremely useful in determining which objects can best provide the data you want, especially if you don’t have MIB documentation supplied by the vendor. Notice also that the last line of the object type description includes the numeric value 1 with upsBasicOutput as the parent. If we follow this parenting backwards in the MIB we’d find that upsBasicOutput has the value 1 and is parented by upsOutput which has the value 4 and is parented by ups which has a value of 1, which is parented by hardware which has a value of 1, which is parented by products with a value of 1 which is parented by apc with a value of 318, which is parented by enterprises with a value of 1. So, if we put all that mapping together we get a relative address for the key upsBasicOutputStatus of .1.318.1.1.1.4.1.1.0. Remember that the trailing .0 represents the first instance of the key. Applications called MIB Browsers can easily parse a MIB and make navigation much quicker than flipping through the file in vim, but don’t be fooled into thinking it’s difficult without such a tool. So, whats really important to notice here is that the MIB is really just providing us with a road map of the OIDs available on the agent we wish to get values from. A MIB describes both where to find a value and what it returns. We can still interface with a device without the MIB, it’s just much easier when you get a return of ”Up” instead of ”1”. By leveraging the options of the Net- SNMP CLI tools you can decide just how you wish to return output which will be different if your just using the tool from the command line (where ”Up” is preferable) or if your calling the tool from a script. (where ”1” is preferable). Unsigned 32bit Integer (values between 0 and 4294967295). 无符号32位整数（值范围：0－4294967295）. This is a fairly typical spread of datatypes returned by Net-SNMP tools. Notice that some values are being automatically interpreted by Net-SNMP, such as the sysUpTime and ifAdminStatus. The MIB was used when these values were returned and Net-SNMP was nice enough to find the return value in the MIB and give us the textual representation of the value. IETF RFC 1213 ”defines the second version of the Management Information Base (MIB-II) for use with network management protocols in TCP/IP-based internets.” All SNMP agent and tool distributions should include MIBs that will comply with MIB-II and all devices should at the very least return values that comply with the MIB-II standard. If you do a default walk of an SNMP device the MIB-II data should be returned. All data with the exception of the EGP and Transmission groups are requirements of the standard. For most networking devices such as routers this information is usually sufficient to provide most of the information you could want. Additional MIBs can be added to your Net-SNMP installation by simply copying them into the $(PREFIX)/share/snmp/mibs directory. MIBs should be (re)named to follow the convention (MIB NAME).txt for clarity. You can find the MIBs proper name on the first uncommented line of the MIB (eg: Name- MIB DEFINITIONS ::= BEGIN). -- (C) COPYRIGHT HEWLETT-PACKARD COMPANY 1997. -- LaserJet 5Si Printer Model Specific MIB. This MIB should be renamed to ”LaserJet5Si-MIB.txt” and copied into the Net-SNMP mibs/ directory. By following this convention it assures greater clarity when utilizing the various MIBs and a consistency with all other installed MIBs. MIBs can be specified by a command line tool using the -m argument or the MIBS environmental variable for libsnmp applications including the PERL module. MIBs can be referenced locally by supplying a proper path (ie: - m ”./MY MIB.txt”) or globally by supplying the MIB name without the .txt suffix (ie: -m ”MY MIB”) if it’s located in the Net-SNMP MIBs directory.